The pavers to the main entrance are uneven and spread out making using a wheelchair difficult. The concrete paths are not very wide and cracking. The Center has a parking that is to the north of the lot, but the parking is not accessible to someone in a wheel chair, cane or needing assistance because of stairs and uneven surfaces. The Center has a few different pathways leading to the front door. The path is not a solid concrete and the pavers are spread out and uneven. The building is accessible primarily on the top floor, and there is no elevator in the building. The downstairs has less room to move around in with all of the tight spaces and bulky furniture. 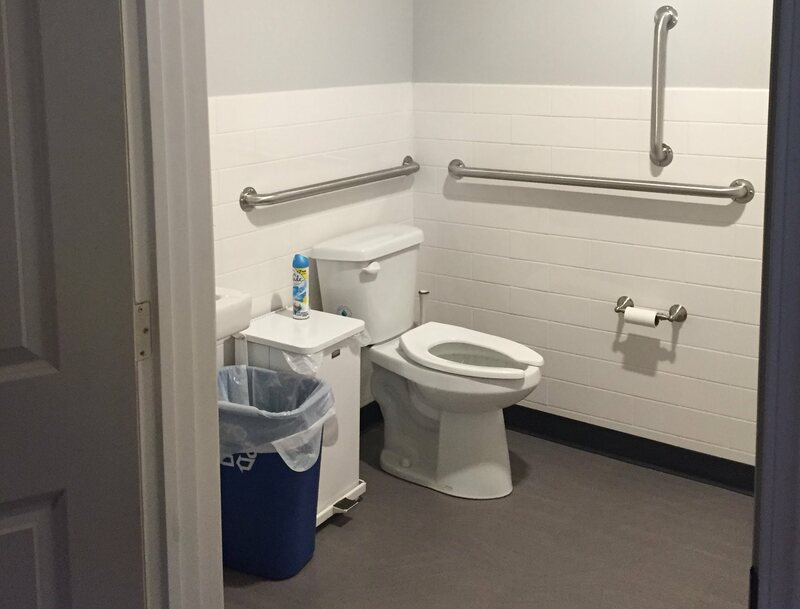 There is only an accessible bathroom on the first level. The downstairs bathrooms are extremely small. There are no elevators in the building. Other Pathfinders could benefit from your experience at The Center.